Provide accurate and timely reporting to enable management to make informed business decisions. With the increasingly litigious climate of facilities management, property owners and management firms must maintain a diligent watch over every aspect of their operations. The overarching goals of building managers - often constrained by shrinking budgets – are 1.) to ensure that life-safety is preserved, 2.) facilities are performing efficiently and per specification, 3.) costly losses are minimized or avoided, 4.) an effective issue-resolution system is in place and 5.) cost- containment and continuous improvement programs are effectively managed. To further complicate matters, recent consolidation trends have left many facilities with little to no oversight; the result is poor facility/equipment performance, frequent (unnecessary) losses, tenant/customer dissatisfaction, lowered morale and higher turnover. Let Midwest Business Consulting be your trusted Owner’s Representative. You can count on MBC to provide an experienced management team to oversee your interests, protect your investments and advise on and/or make those mission-critical business decisions on your behalf. Unlike a general contractor, whose foremost responsibility is to their employer, an owner's representative is an extension of the owner and solely represents the owner's interests. Our Team will work closely with the stakeholder group to identify or optimize contract scope(s) and define effective Key Performance Indicators (KPIs) required to meet business goals. Our teams experience spans oversight of Operations and Maintenance contracts (O&M), Custodial and Pest Control contracts, facility / property security, customer assistance and wheelchair management. From full operational oversight to operations consulting and optimization, the MBC Team is standing by with flexible options to meet any need. With a background in building best-in-class business models, MBC has in-depth experience building highly-successful facility and equipment O&M operations. MBC specializes in Operations Management, Continuous Improvement and Business Process Re-engineering. We understand the challenges and pitfalls facing operations managers and maintenance teams in today's highly competitive and often litigious environment. Whatever your business needs, Midwest Business Consulting can help. We're experts at developing new operations, assessing existing operations for waste and vulnerabilities and implementing practical and cost-effective solutions to mitigate problems, neutralize threats and capitalize on both realized and unrealized opportunities. MBC is well versed in helping companies of all sizes assess strengths and weaknesses in current operations and map out well-defined strategies to exploit opportunities and overcome weaknesses. The MBC Team has vast experience planning, mobilizing and managing a wide range of mission-critical Operation and Maintenance (O&M) divisions, optimizing existing maintenance and facilities management operations, mobilizing Computerized Maintenance Management Systems (CMMS), and developing and deploying effective operating plans. The benefits of an optimized maintenance operation are myriad and include reduced operating costs and downtimes, optimized preventive maintenance schedules and inventories, efficient storage and retrieval of information to support management decisions and effective insulation from costly litigation. Midwest Business Consulting specializes in developing and optimizing equipment maintenance programs in Chicago, IL. Our systems have been developed and fine-tuned for more than a decade and bring together the thoroughness of U.S. Military maintenance inspection programs with present-day budget and operating constraints. As noted, some of the 'low hanging fruit' of an optimized maintenance program includes reduced inventories, streamlined Preventive Maintenance Systems, effective maintenance ticketing systems, lower operating costs, improved equipment uptime, extended equipment lifetimes, fewer employee injuries and lowered insurance / legal expenses. 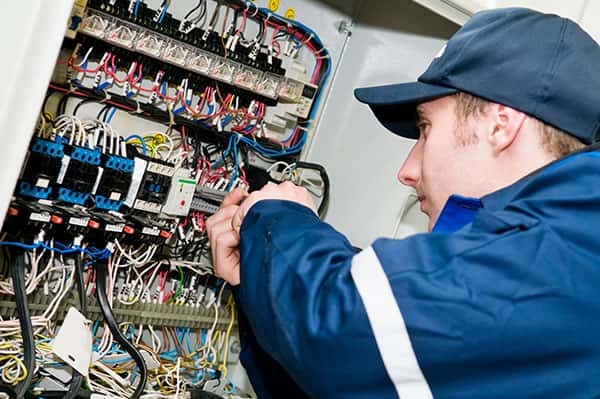 Whether your operation is mature or in the planning phase, trust the expert staff at MBC to assist in evaluating your maintenance operations and developing or revalidating your operating & contingency plans to ensure that your service department or contractor is maximizing the value of your maintenance budget. MBC maintains a close-knit network of PMI-Certified Project Management Professionals and Subject Matter Experts in various industries and business sectors to provide our clients with an unrivaled agility that allows us to rapidly mobilize project teams to assist you on the most delicate of projects. Our PMs have experience managing projects ranging from $30K to $30M and operate in a variety of specialties. We will work closely with your stakeholder group to develop the appropriate project strategies to ensure all Key Performance Indicators (KPIs) are met on time and within budget. Call Midwest Business Consulting today to learn more about facilities management in Chicago, IL.